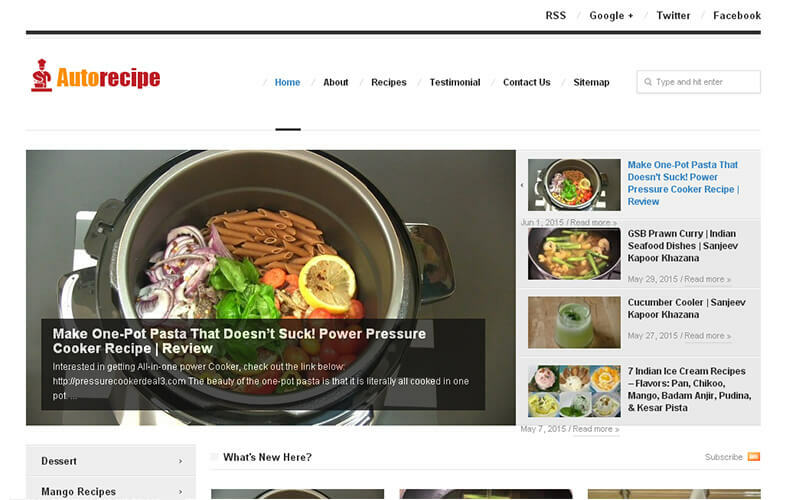 If you want to kick-start your own cookery website and share recipe videos, PHP scripts mall has built a readymade video sharing listing script. You can run your own recipe site with this script where the videos are uploaded in your site easily. This video sharing script is a time saving script because the videos are auto import from YouTube and you need not spend time in searching and uploading videos; every day it is updated with new videos. It is quiet easy to upload and share videos with this recipe video listing website script even if you are not confident in the technical aspects. Nowadays, everyone prefers to watch new recipes through online, so you can fetch good revenue through Google ads and banner ads. This video sharing PHP script has a powerful admin panel, script is highly customizable and you can modify e-mail ids, contact details, social media links and other necessary information of your website. Based on your business concept, you can create unlimited categories in this Autorecipe script. The admin can import and share videos based on the categories, after they import they get added to the posts. The recipe videos are automatically imported from the social websites like YouTube, Vimeo. When you want to create a new category, with the help of playlist id and channel id the videos for new category can be uploaded. Our script contains millions of databases and provided high secure coding section. We have a SEO-friendly concept, talented developers and pre-built payment gateway. The script has responsive layouts and it can be accessed from all types of devices. This video sharing script is good script where all the recipe videos I was able to find. So I would like to ask everyone to make use of this script to get so much profit, because I had so many visitors visiting my website to watch videos. Few months ago I bought this script in PHP Scripts Mall. This script helped me lot in my business and it reduced my work time also I could not take any stress to develop my business. Now my business going very wells. I strongly recommended to all don’t get hesitate.